My first effort with the LONG-awaited TG2! At last! It's here! 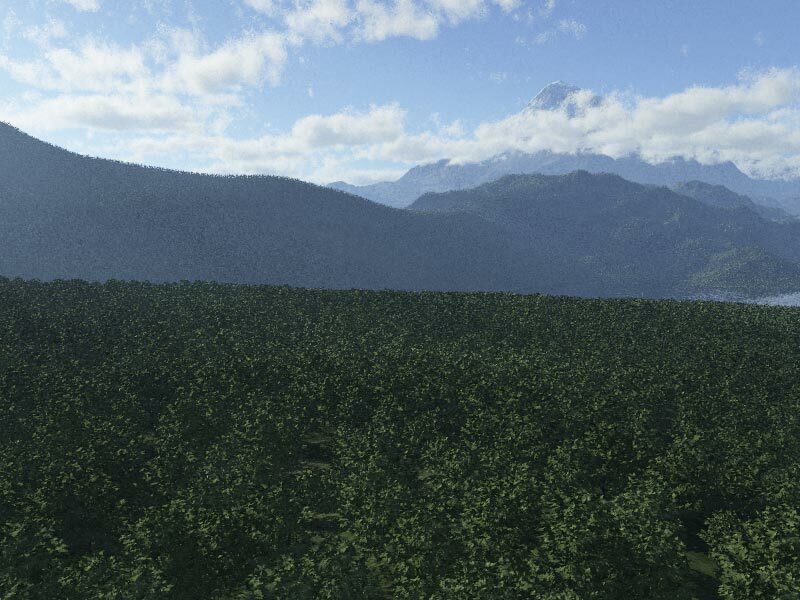 I've been waiting nearly two years for this program to come out - Having been a long-time user of Terragen, I saw the awesome images in the gallery and have lusted for TG2 ever since. Re: My first effort with the LONG-awaited TG2! Trees as far as you can see! Have you tried adding a fractal Shader to the Density setting of you tree population? It should break up the pattern and make them more random.